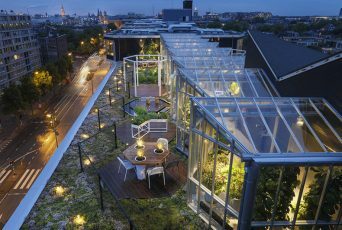 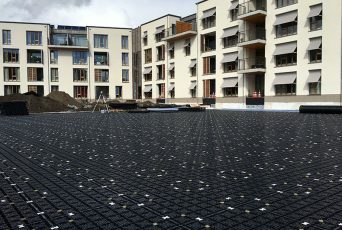 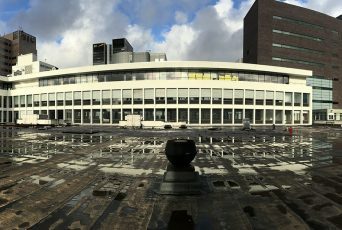 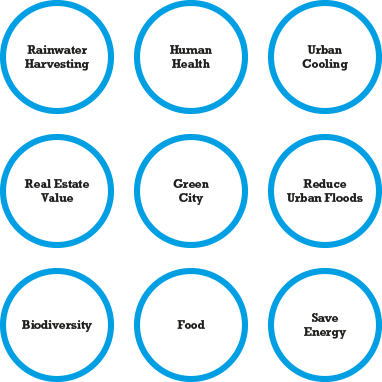 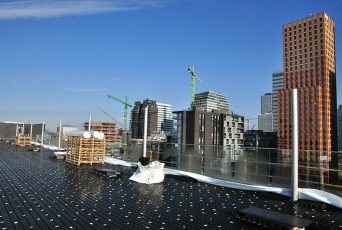 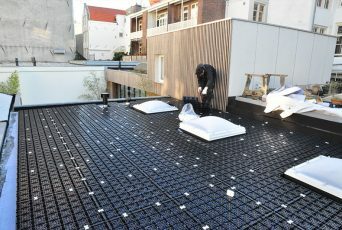 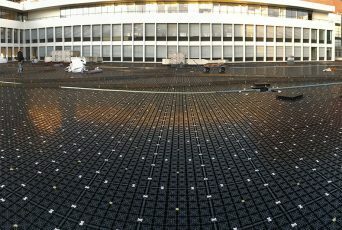 Our current cities appear to be ‘full’, but still feature large unused rooftop surfaces which can be ‘reclaimed’ and put to use for rainwater harvesting, urban cooling, food production, biodiversity or any combination thereof. 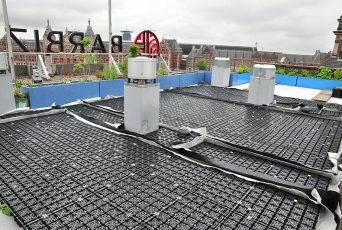 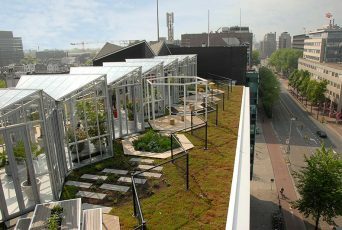 Water availability is the key of these successful multifunctional blue-green roofs. 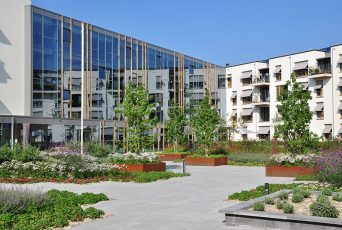 Because without water, functional performance of this urban green space grinds to a halt. 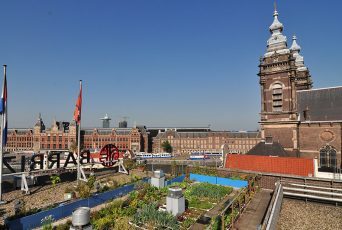 Blue-green roofs help to cool the environment, increase roofing materials lifespan and at the same time reduce the heat influx in to the building, reducing air conditioning demand. 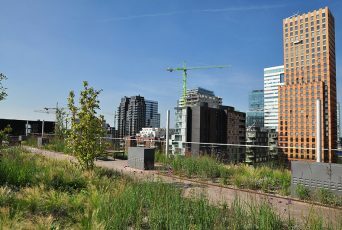 Creating blue-green roofs you can access or gaze upon, increases the real estate value of the space. 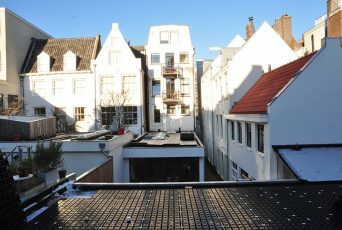 Just image a garden in the sky you can visit, to have a conversation, to enjoy a cup of coffee, or even have a meeting in, away from the noise at street level.